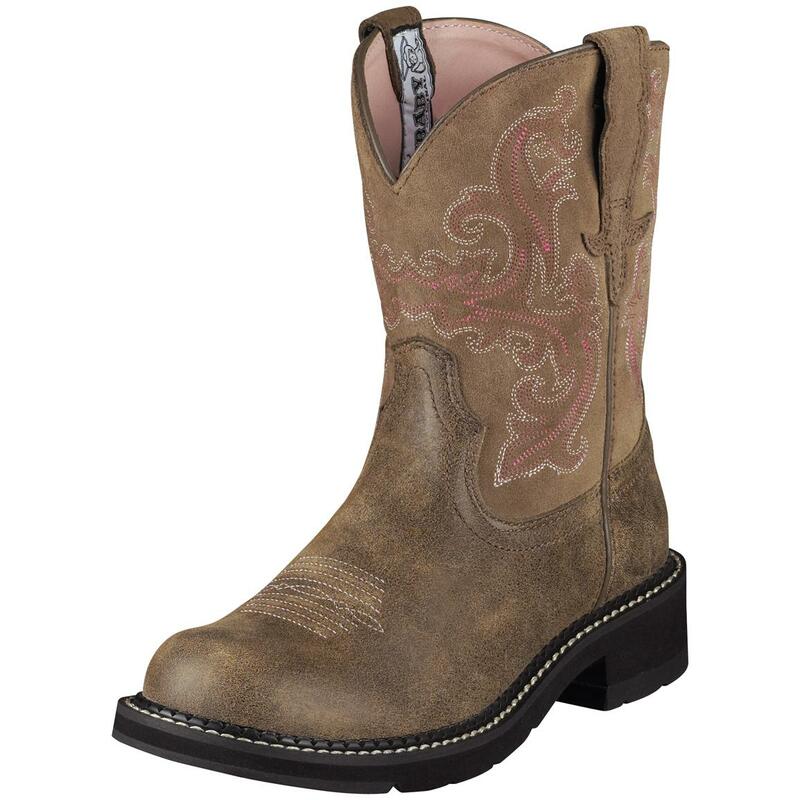 Women's Ariat® 8" Fatbaby II Western Boots. Exotic head-turners with championship pedigree! Don't be fooled by its looks... the Fatbaby II is a performance riding boot to the core. Featuring Ariat®'s exclusive ATSTM (Advanced Torque Stability) System that provides four times more lateral support and stability than traditional designs, helping to reduce fatigue and enhance comfort whether you're riding or "hoofing it." They've been given the stamp of approval after being tested by top professional riders, and you'll love 'em too! Each approx. 8"h., 28 ozs. State Color and Size, as available in the Shopping Cart. 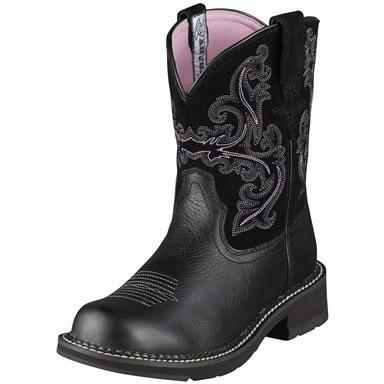 Womens Ariat 8 Fatbaby II Western Boots is rated 4.5 out of 5 by 25. Rated 4 out of 5 by Patty from Above average deal Quality boot, comfortable, & look great. Rated 3 out of 5 by jen123456 from SO comfortable but the lining flakes off I've owned these for few years and the boots are still in excellent shape all around except for the pink lining which is peeling, flaking and making a general mess every time I remove my boot. I have another pair of Fatbabys that also have a colored lining and it is sealed and flat like the day I bought them. Maybe I just got a defective pair? These boots are the most comfortable shoes I own but I only wear them around the house and for outside work now because of the mess. Rated 5 out of 5 by samburn from So Glad I took the chance!!! Scary to order boots online, but after reading other reviews, I thought I'd try it. I am so glad I did. My Fatbaby's fit perfectly and I have really wide feet and after some foot surgeries I have one big toe that sticks up just a bit so I am hard to fit. These work perfectly! Plenty of room, and I did order my usual size. Plus, these are beautiful!! Rated 2 out of 5 by kdw701 from Disappointed Wore them less than a dozen times and the stitching on came apart. Rated 5 out of 5 by RCapeau from Fatbaby II8 I bought these boots couple weeks ago. I have never felt so comfortable and a pair of cowboy boots ever. I absolutely love them. I will definitely be getting another pair. I will definitely be recommending them to my friends and anybody who will listen. Thank you so much I'm so glad I tried these boots. Rated 5 out of 5 by JJ5052 from Very nice soft Boot! This is my second pair. Love this boot! The soft nature of the leather is very nice. Comfortable and durable.